Peter Drucker warned General Motors (GM) about inherent dangers associated with their business model and GM Leadership refused to listen. Peter Drucker was shunned and despised for proposing such a condescending view. His foresight was disregarded because GM was in all regards, a Corporate Super-Power. We all know what happened to GM and history caught up with Peter Drucker to finally acknowledge his brilliance. We are currently as of January 14th 2012 in a change crisis and if proper action is not taken then a similar disaster will occur for each and every one of us. Analogy: A frog leaps out of boiling water it is put in (makes a decision for survival when presented with an immediate crisis). A frog sits in the warm water as it slowly boils and kills the frog – The frog never leaps out because it never seen the danger coming until it was too late (complacency). We are in a state of complacency and some of us are aware enough to take action before it is too late. Recent News: Hostess filed bankruptcy!!! Hostess has no business filing for bankruptcy – They have a time tested brand – Great products, and a solid business model – Or do they? The reason for the bankruptcy is they cannot afford the pensions of their retired workers!!! What? Hostess cannot afford pensions? Neither could GM!! The future is clear in regards to pensions – Companies, even the best (i.e. Coke, IBM), cannot afford pensions. Companies with a business model that attracts billions in profits will not be able to afford pensions and neither will any State or Government agency. 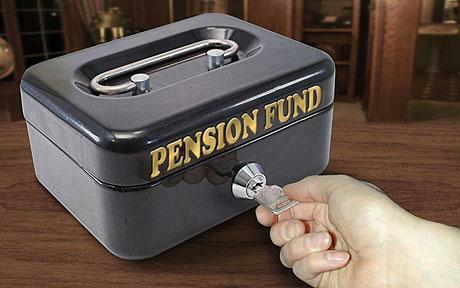 The bottom line is: WE CANNOT DEPEND ON PENSIONS FOR RETIREMENT PERIOD. Invest a small amount of your monthly pay in a 401k or IRA where the focus is on a growth Mutual Fund (for inexperienced investors) to get started. If you didn’t start already – You need to start NOW. How will your history be defined?